Marshall Seaver is being haunted. I know you may not believe me, and I have trouble believing it as well. He is being haunted by a character that he created in his mind. Gravedigger. Marsh thinks that he may have lost his marbles, and he is having crazy hallucinations or… or what? While Marsh is being haunted by his own creation, his friend Cooper is sent up to his parents lake house to straighten things out. Recently Coop has been getting into trouble with the police and his parents are getting him away to hopefully clear his mind. But he mysteriously disappears and nobody knows where he went. But are Marsh’s hallucinations and Cooper’s disappearance connected? Read Morpheus Road: The Light to find out. 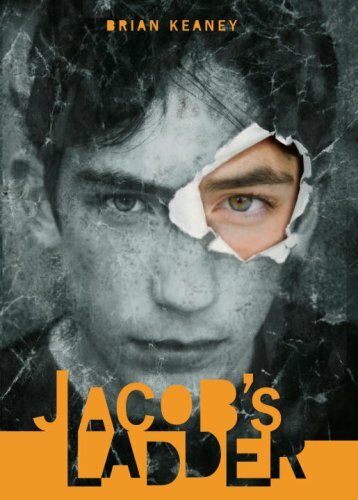 I have read many good books in the past but these are some of my favorites: Jacob’s Ladder, The Invention of Hugo Cabret and Conspiracy 365 series. The book I am recommending is a book called Jacob’s Ladder by Brian Keaney. This fast paced horror book is very good for people ages 12 to 40. I liked this book because it made me want to keep reading. I couldn’t stop. This book is similar to Everlost. I would recommend this book if you are into horror books, although I would not recommend this book if you don’t like horror. The thing that kept me hooked was the way the book flowed with nonstop action. This is not part of a series. It is a stand-alone book.